Nail artist Tina Zavala (@popstar_nails72) of Louisville, Ky., wanted to pay tribute to African American nail culture. 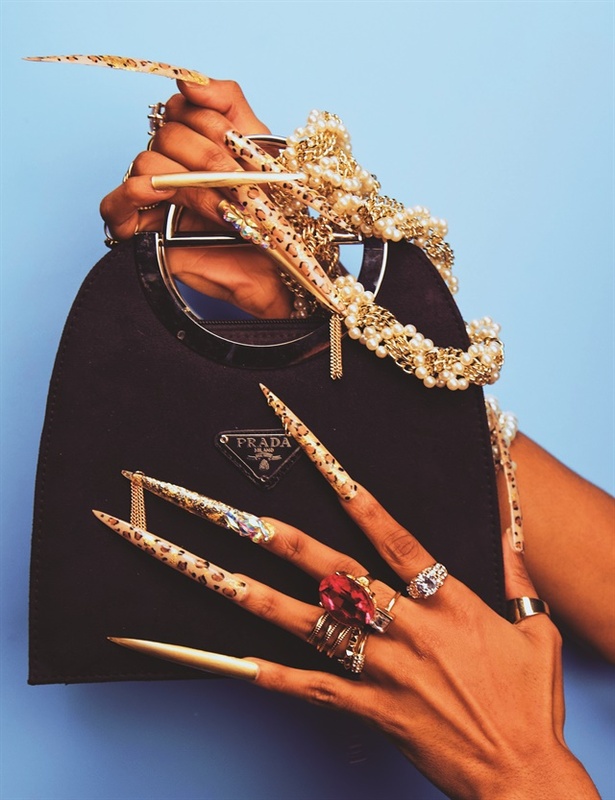 The resulting shoot pays homage and shows the influence of urban nail culture on current trends in fashion and nail art. 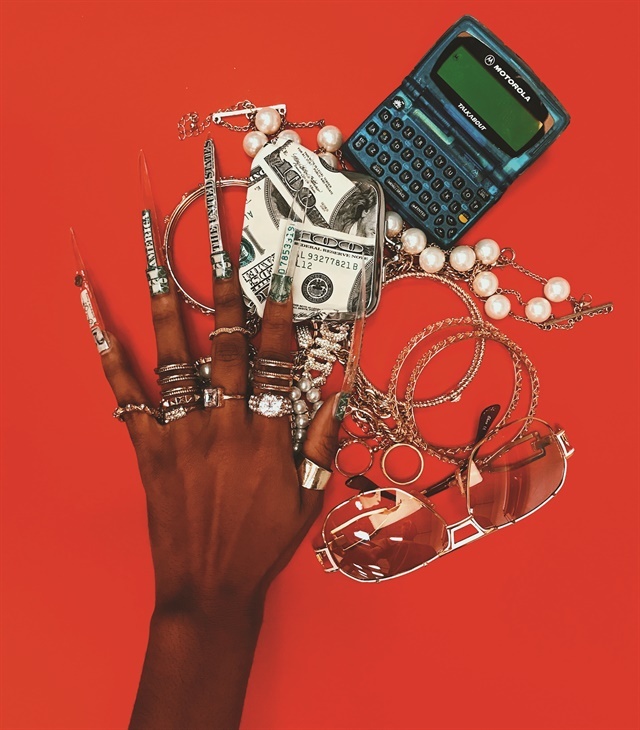 The art in the photos was inspired by African American women’s fashion during the late 1980s and ’90s, including cheetah print, money nails, and pink nails. Zavala says these trends are coming back to the forefront. Cheetah Nails: Cheetah print is really trending right now. I used the color gold to accent the print. I did gold hooped nail piercings and added chains and jewels on the nails because “junk” nails were very popular during the '80s and '90s. 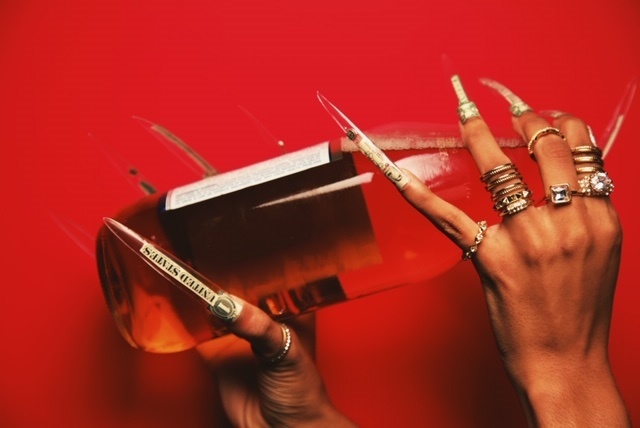 Money Nails: Money in your nails is the ultimate way to flaunt the fact that you are rich even if you don’t have a lot of money. The gold jewelry was a staple when it came to self expression and creativity in African American culture. 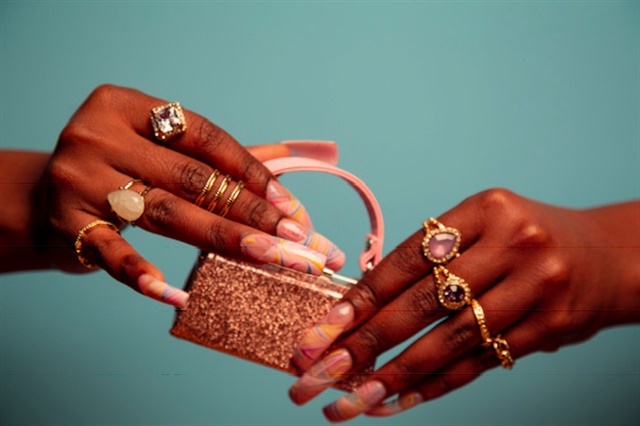 Pink Nails: I chose to do these nails in a square and curved shape that you saw most often on African American women. Abstract art with lines and dots were the most popular choice of design. We chose the colors pink and blue to play off of the cotton candy used on the set.